My Hearth & Hand Haul! Raise your hand if you've got a serious thing going with Hearth & Hand at Target! I am a shameless addict, however - most of the Hearth & Hand addicts out there put me to shame! I joined a couple of groups on FB the night it was released so I could tell when things would be live, and WHOA. I don't have the kind of money to throw around that they do, but I soooo would if I did! I grabbed this guy on a total whim! 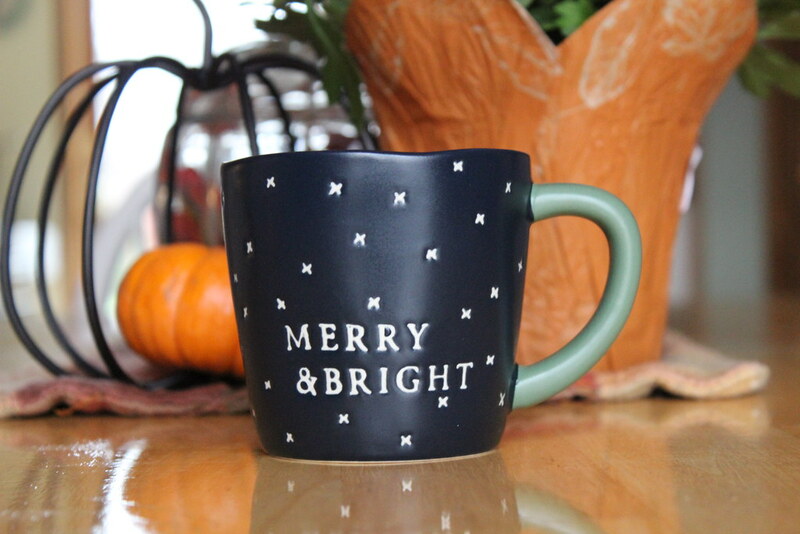 This is one of the popular coveted pieces that is now discontinued, and I was on the Target website looking for something else and noticed that it was in stock, so I grabbed one! It's small...like, cup of tea small (my cup of coffee is like 4x this big), but it's adorable and I love it for my evening tea! Ugh, you guys DON'T. EVEN. KNOW. 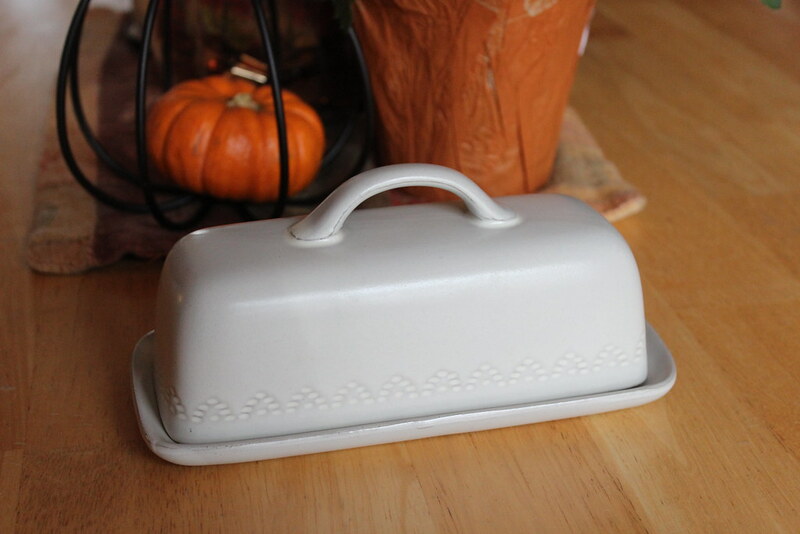 I really wanted this butter dish to replace the one I've had, which broke about 2.5 years ago and has been surviving with super glue alone. It arrived broken, so I asked for a replacement. That one arrived broken, too. The site said my Target had them in stock, and I had people search for it for me TWICE. I finally had to leave my name and number and have them call me when they found one, which the finally did! And then? The third in-the-mail replacement showed up the day after Thanksgiving, lol. So ridiculous. But I HAVE IT and I adoooore it! 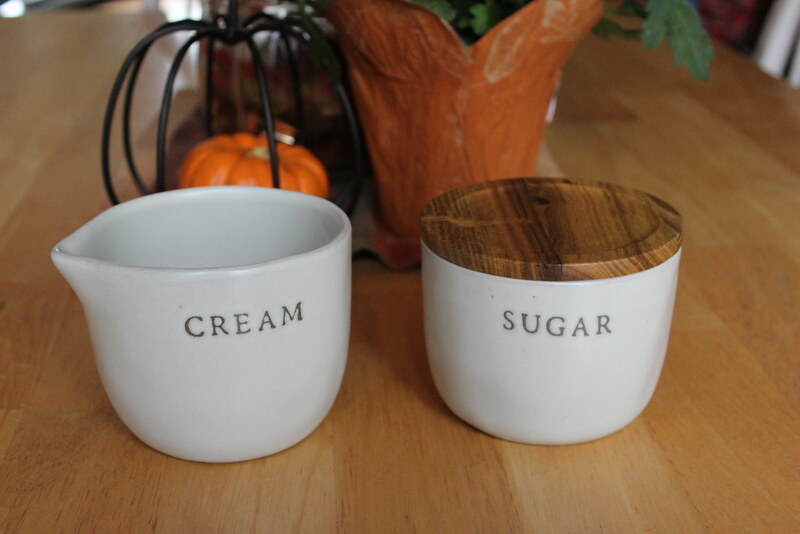 To match the butter dish, my sister bought me the cream & sugar set for Christmas. She let me have it early, though, so I could use it on Thanksgiving. Love them! 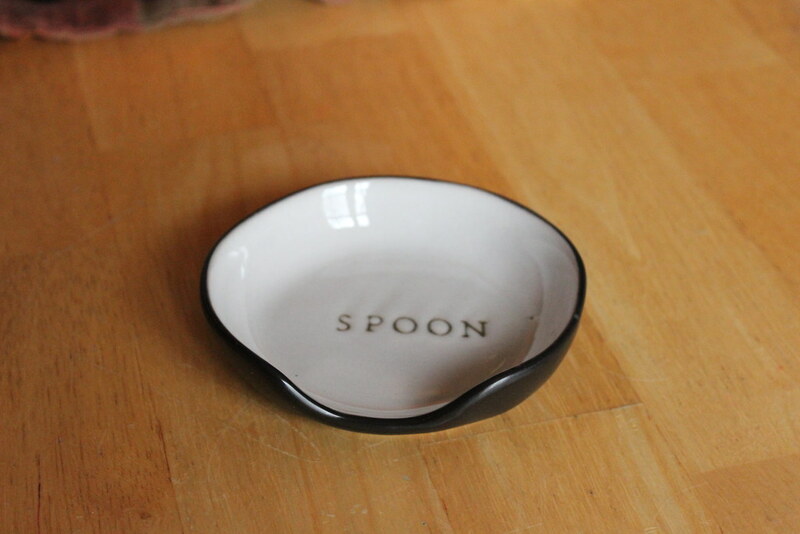 Wanting to round out my little set, I grabbed a spoon rest when it was showing in stock online. I'm not happy with the way the word looks...sort of off centered and smeared, so I've been watching to see when it's back in stock again to replace this one. 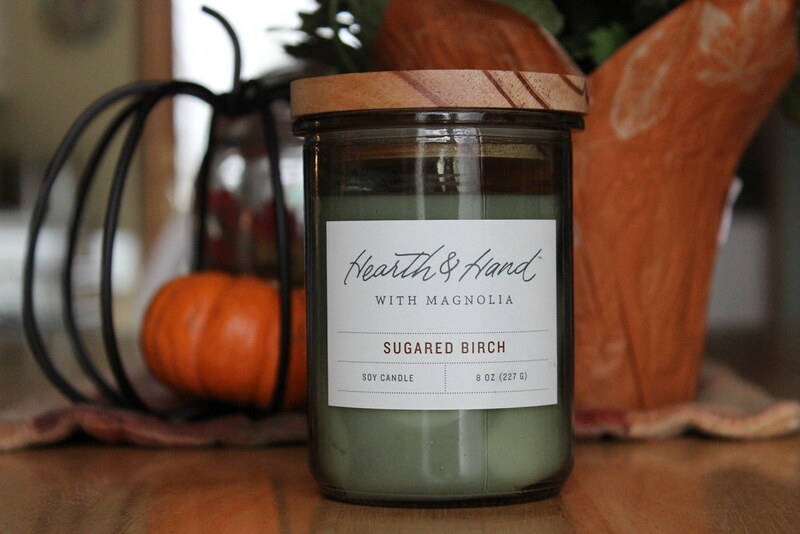 There were a bunch of candles to choose from, that all smelled delicious, but Sugared Birch was by far the most "Christmas" to me. I love it!! 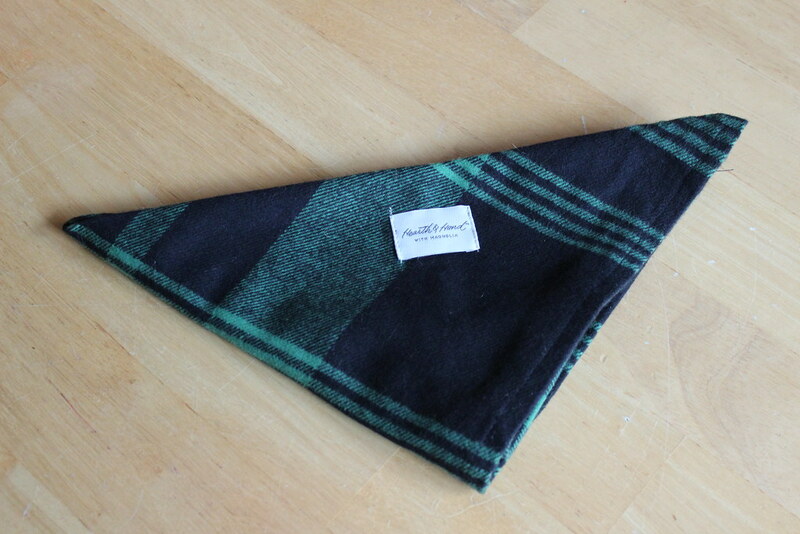 This is the dog scarf from the family pajama line that sold out the first day! I was so lucky to grab one!! I wanted Galli to match the boys in their pj's, both for our Christmas card picture this year, and on Christmas morning! I shared a picture of the boys in their Hearth & Hand pajamas at the lake, but I didn't take a picture of these on their own, so here's my cuties again! So, what did you have to have from Hearth & Hand??? What do you still want? How much are you loving it?! I can't wait to see what they come out with in the Spring! Very cute line of items!